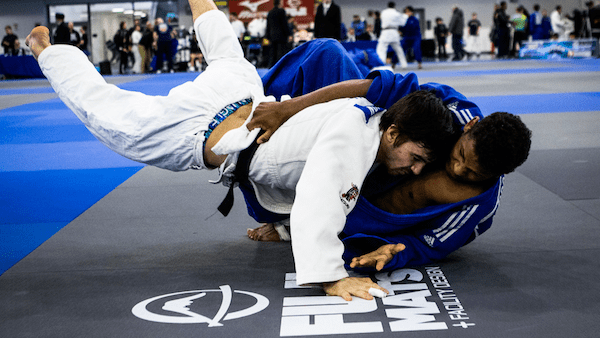 Like so many companies before them, FUJI Mats was struggling to find the right solution for order and customer management. 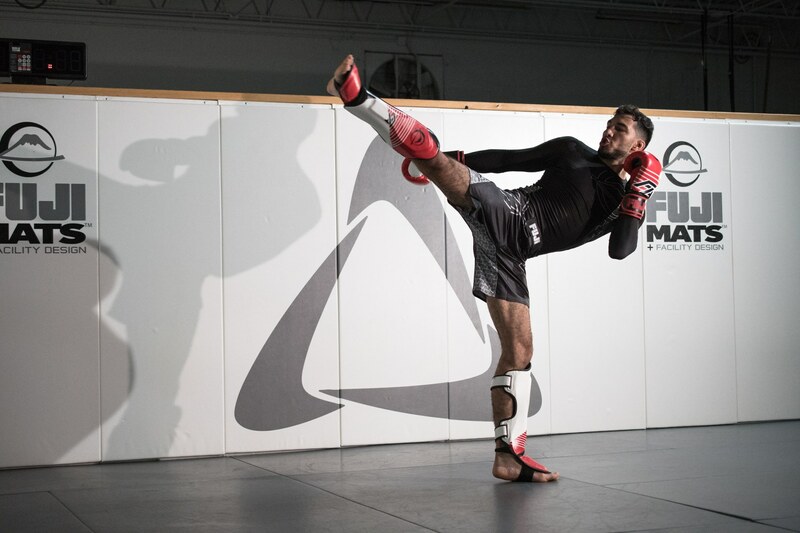 There are a lot of moving parts in their business: they offer facility design services for martial arts studios and provide the materials to outfit the facilities. This means it’s essential to stay on top of every detail throughout the lifespan of a project. 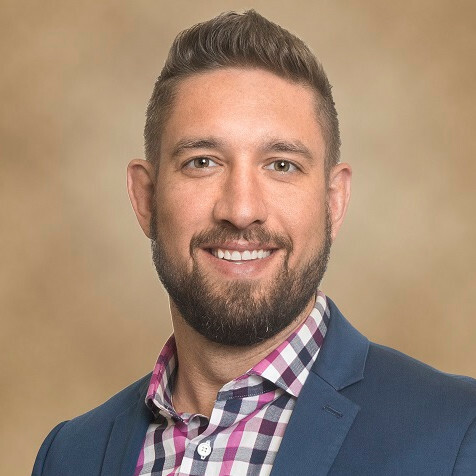 At first, they tried using QuickBooks as a CRM — but this was “less than acceptable,” said Nick Robinson, who is responsible for FUJI Mats’ operations and sales. The QuickBooks interface was difficult to navigate and it wasn’t a scalable solution for keeping detailed notes. Next, the team looked into some CRM options, but none of them was quite the right fit. Ideally, they wanted something affordable that could be tailored to their workflows. 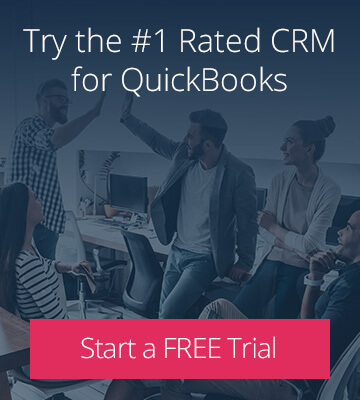 They also wanted a CRM with a real-time QuickBooks sync, but most systems out there couldn’t meet this requirement. Eventually, their search led them to Method:CRM — and they haven’t looked back since. Method’s real-time, two-way sync with all versions of QuickBooks offered the perfect solution for streamlining their order management. Robinson explained that sometimes they need to look up a customer, enter an order and take payment in one fell swoop while on the phone. Luckily, this is no problem in Method; it’s easy to navigate from customer data to order entry in just a few clicks. In other cases, they create an estimate in Method and convert it to an invoice later, then send the customer a link to pay through a self-serve portal. But no matter when or how an order is paid, all of the data syncs instantly from Method to QuickBooks. The increased efficiency in their front-end operations has been such a game-changer that the team is planning to bring more of their business processes into Method. 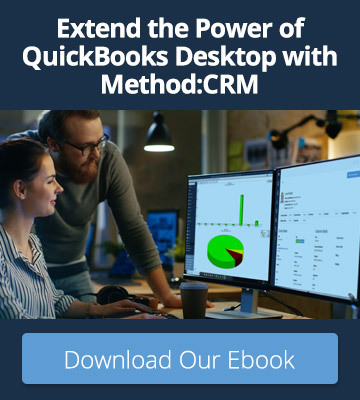 Beyond the deep QuickBooks integration, Robinson and his team saw another huge selling point in Method: it’s an infinitely customizable CRM. This means it can be tailored to suit the unique needs of any business. For FUJI Mats, keeping detailed notes and knowing when to follow up on estimates are of the utmost importance. But with so many leads coming in, they need to be able to find this information quickly. Their ideal solution was a one-page experience for customer data — so they worked with Method’s customization experts to make this happen. 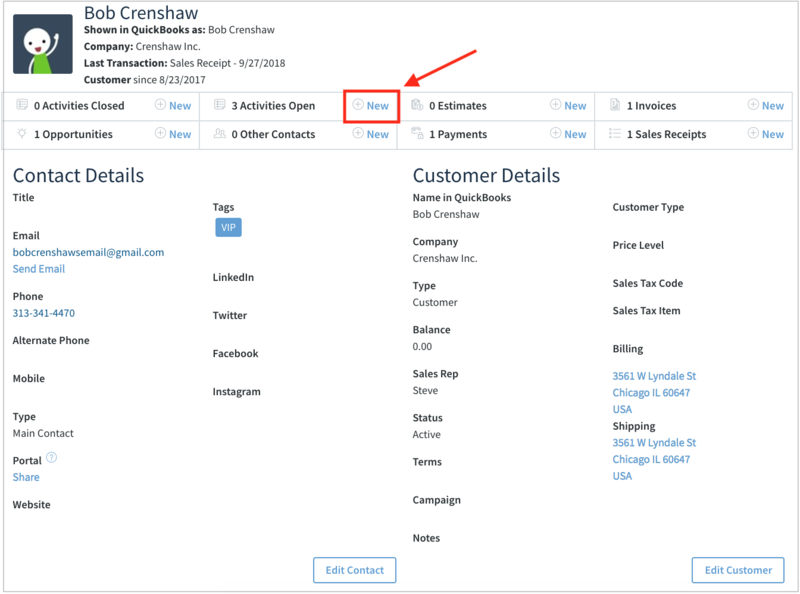 Out of the box, a customer profile in Method displays basic contact and company information. Clicking the “New” links takes you to other screens where you can enter data that is linked to that customer. For instance, if you wanted to record notes about a phone call, you would create a new activity. Recent notes about the customer are displayed  and team members can easily add a new note right on this screen . 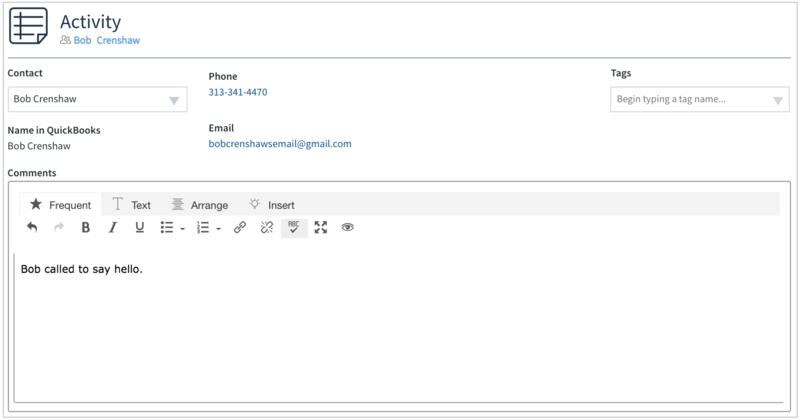 Clicking the “Notify” button sends an email about the new note to an assigned team member . A list of the customer’s recent estimates is displayed . Team members can assign a follow-up date  to the customer, which ensures that potential sales never slip through the cracks. 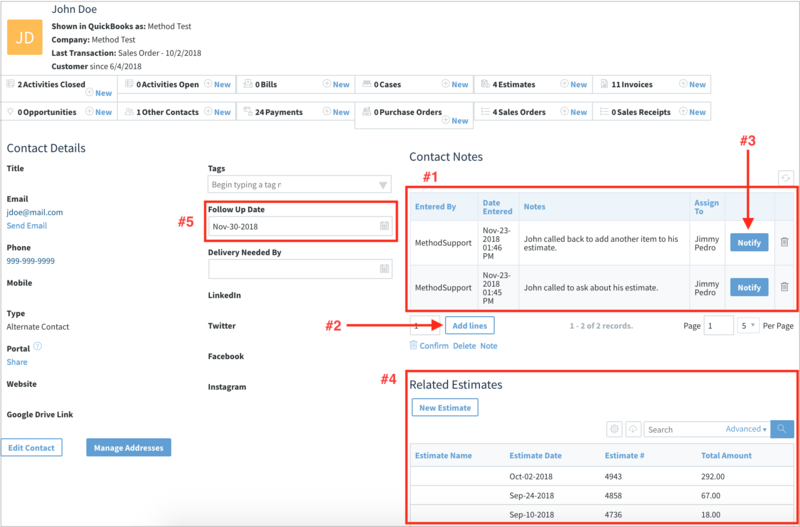 By customizing their Method account, the FUJI Mats team created a CRM that’s perfect for their current process. And as their business evolves, Method can evolve along with them. For small businesses, off-the-shelf technology rarely works perfectly off the shelf. That’s where Method’s dedicated team of customization experts comes in. They’ll work closely with you to truly understand your workflows and the barriers you’re facing. Then, they’ll build a custom solution that’s just right for you — while you focus on running your business. Learn more about Method’s customization services. Ready to get started with better customer management?